We have over 25 years’ experience in the provision and installation of high quality security, fire and electrical systems, utilising equipment from the biggest manufacturers in the industry and budget-friendly prices to provide the complete property security service. We ensure that any electrical installation service is done to the best quality so you don’t have to worry about future costly repair bills. We will even go through electrical testing to give you the peace of mind that your security, CCTV and electrical systems are working to max efficiency. Based in Maidstone, we work throughout Kent, Sussex, Surrey, London and the Home Counties, providing domestic and commercial clients and organisations with expert advice, guidance, supply, testing and installation of everything to do with home and commercial security, electrical networking and fire protection. 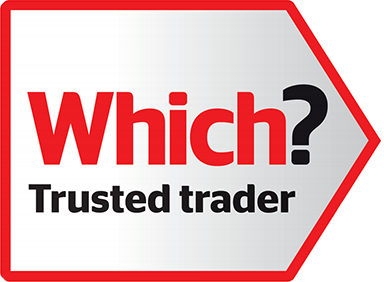 Arrange your free survey and no obligation quotation today; call the experts at Q-Tec on 01622 809111. We will ensure that you receive the fire alarm installation or door entry systems that you require for your property. With out range of security systems, we are certain that we have the perfect solution for any requirements that are fit to keep you and your building safe form outside threats. Thanks to our close relationships with the world’s leading manufacturers, we have access to the finest security, fire and electrical equipment. We pass these systems on to you at a very affordable rate, saving you money and giving you the peace of mind of knowing that you are getting top quality and reliable installations. Our fire alarm installations will ensure that you are safe within your working environment from the hazards which could cause catastrophic damage or even take lives. Utilising the highest quality materials and security systems; we provide the best and comprehensive security provision service, encompassing fire alarms, intruder alarms, CCTV and electrical installation. We offer our contracted customers the benefit of our emergency call-out service. Call us 7 days a week, 365 days a year and we will dispatch one of our experienced engineers to your property within hours. No matter when you need us, one of our expert CCTV installers will be on hand to get to your property and provide you with the security systems you require. Working closely with each client during any installation or supply process, we take customer satisfaction incredibly seriously. Over the years, we have worked for a variety of different domestic and commercial clients, who appreciate the level of service we provide and the dedication we show to each individual project. Based in Maidstone, we provide domestic and commercial clients from across Kent, London and the Home Counties with the very best security, electrical and fire installations. Many of our recent projects have been for clients in London, Tonbridge, Sevenoaks, Ashford, Canterbury, Maidstone, Orpington, Bromley, Medway, Fulham, Islington, Chelmsford, Barnet, Colchester, Reigate, Dartford, Tunbridge Wells, Milton Keynes, Portsmouth, Brighton, Hastings, Lewisham, Westminster, St Albans, Stevenage and Croydon.